This Spring Festival starts with a running and ends with a running. I was running from the sunlight warm New Year’s Eve to the windy chilly fifth day of new year. A mischievous circle of six days from 6 miles to 14 miles gave this holiday a sort of sense of ritual. Honestly, the last running was really a pain in the neck, and I wanted to quit in the first mile. It’s too cold and windy, I could feel the heaviness seeping through my whole body. Now I was just glad that I made it. When you want to do something, ask yourself three questions first: one, what do you want? Second, why do you want? Third, how are you going to get it? In this case, I know what I want. That is running a half-marathon. I know why I want it, because it is cool to do something everyone thought that you couldn’t, it is great to be able to push your limits, especially after being beaten down so many times. And I know how I am going to get it, by moving forward every single time. The year of pig, I am ready and I am coming. PS: Another thing I do everyday is daily writing. I want to keep a record of my life in written English, because in this way I write my blues away, I connect and bound with the others. 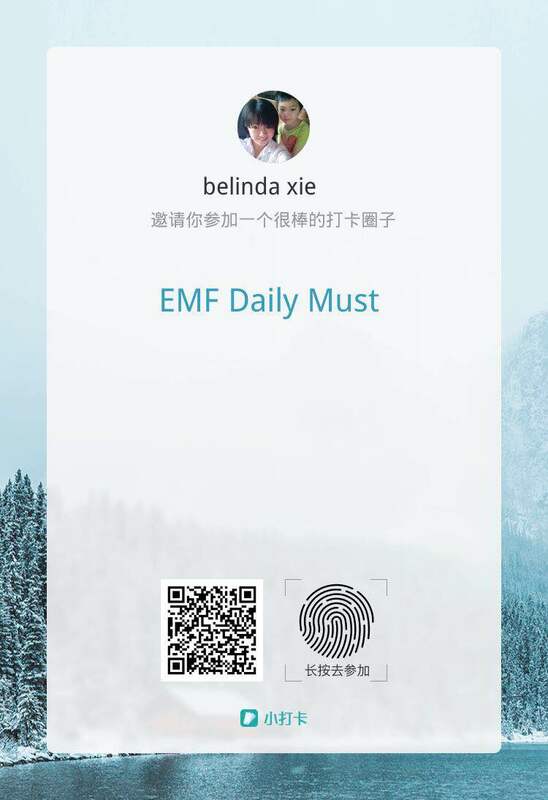 And I know how I am going to get it, by daily writing in EMF Daily Must.